Comfortably seated in a people carrier, head south for an outing in the vineyards. Along with your guide, you will stop at Ampuis, cradle of Côte-Rôtie AOC wine, and discover the steep hillsides of France’s oldest vineyards. 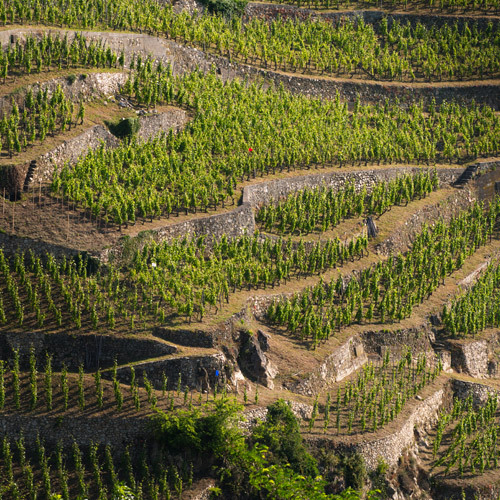 The wines of Condrieu and Côte-Rôtie tell a story of their terroir, and reveal the personality of their creators. 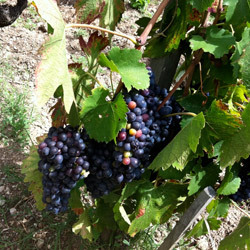 Next, you will discover a prestigious Côte-Rôtie vineyard. During a walk through the heart of the vines on steep hillsides, you can enjoy the breathtaking view over the Rhône Valley. Taste five or six wines in this charming estate. You will then continue south, to the vineyards of Condrieu. Another tasting session will offer a chance to appreciate the aromatic richness of these fine wines, before returning to Lyon. 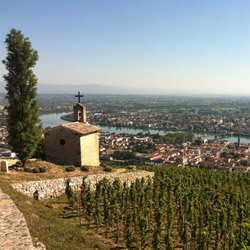 The sun-drenched hills around Vienne have been producing wine since Antiquity. 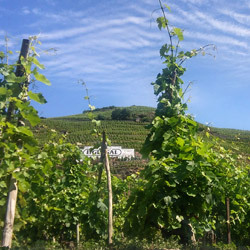 Côtes Rôties, Condrieu, and wines grown on the hills in Seyssuel have now replaced Vienne's vinum picatum, which Pliny the Elder was so fond of.